World famous journalist, Anderson Cooper and his boyfriend, the shy Benjamin Maisani have been together for eight years. Maisani owns several gay bars in New York City and has a net worth of $4.0 million. Find out more about Anderson Cooper’s boyfriend in Benjamin Maisani’s wiki. 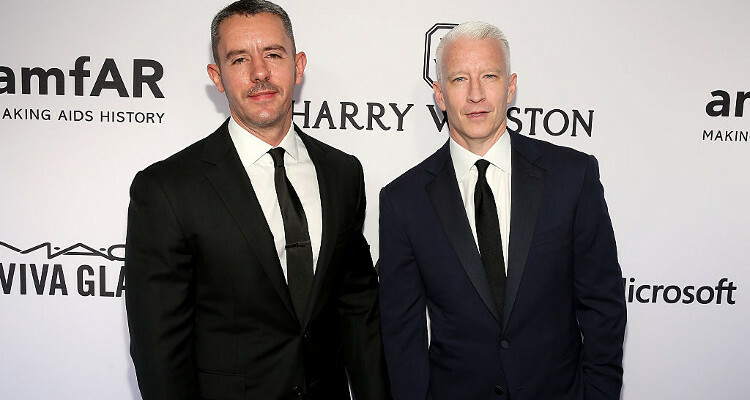 Ever since 2012, when CNN journalist, Anderson Cooper came out of the closet, people have been curious to know about his partner. Cooper wants to maintain his privacy and does not like talking about his personal life. Since Anderson Cooper is gay, this has only added speculation about who Anderson Cooper is dating. Anderson Cooper’s boyfriend is 44-year old Benjamin Maisani, whom Cooper met in 2009. Here are some details from Benjamin Maisani’s wiki. Even though Maisani became a little famous as Anderson Cooper’s partner, he is an achiever in his own right. Maisani initially went to New York City to study film making. He enrolled at Hunter College and after graduating, he started working at the Morgan Library on Madison Avenue. Unfortunately, the pay was pretty low and a dissatisfied Maisani ended up taking a job at a Barracuda in Chelsea. Working at the bar did wonders to Maisani’s self-esteem, who started to come out of his shell. His hard work paid off, as the former bartender is now the proud owner of several bars himself. Maisani owns three popular bars in New York City: Easternbloc, Bedlam Bar & Lounge, and Atlas Social Club. All three are gay bars and hot spots for the city’s gay community. Maisani himself is a shy and quiet person, who actually prefers staying home to going out. Also Read: Jenna Fischer: 5 Interesting Facts to Know about “The Office” Star! So, what is Benjamin Maisani’s net worth? It’s a modest $4.0 million, but sure to rise thanks to his successful businesses. Maisani’s age is just 44, which means he has a long and bright future ahead of him. The couple live in Cooper’s converted fire station townhouse. Maisani owns several houses, including one in Connecticut that is estimated to be worth around $8.0 million. He regularly works out at the gym and can often be spotted with Cooper in New York. Maisani and Cooper like to travel with their friends Kelly Ripa and Sarah Jessica Parker and their respective husbands. As Benjamin Maisani can attest, being involved with a famous person can put someone’s life under the spotlight, whether they like it or not. Maisani is very protective about his personal life and says, “I understand that it interests people, but it doesn’t interest me. Like most people, I never really thought about it, and I never wanted to be a celebrity. I knew I’d have to be careful right from the start before it had a chance to get out of hand.” Fame is a strange thing. While many people crave it and pursue it on their own, some have no want for fame, but it finds them anyway! This is exactly the case with Maisani, who has become somewhat “famous” since dating Anderson Cooper.